Earlier today, we reported that Fox could possibly release the first trailer for Dark Phoenix online this week. The rumor is that the first footage from the latest X-Men will arrive in theaters with Venom on October 4th. Now, the trailer has leaked all over the web. Literally. But trust us, you probably don’t want to watch it. 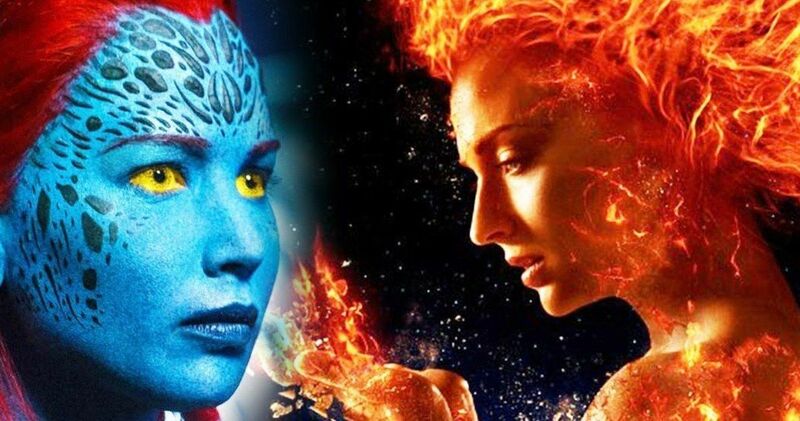 The bootleg leaked trailer for Dark Phoenix is possibly one of the worst of all time. Which fits with the production woes we’ve heard surrounding the project. The footage is shot using a camcorder from behind two chairs, so only the middle of the intended widescreen image is viewable. Also, it’s in Russian, so it’s a little hard to make out. We’ve waited this long, I think we can all wait just a few more days to see this thing in normal res when Fox decides it’s time to actually unleash it. From this crack between two chairs, the movie looks a lot like those first images we saw emerge last year. There is some fiery imagery, we see Jean Grey walking through a cemetery, and that cuts to Michael Fassbender as Magneto. He is speaking to Jean in Russian. There are some quick cuts, a few flashbacks, and then we see a young Jean Grey in the back of a car as The Doors’ song This is The End plays over some ominous end of the world type imagery. It’s all very unsettling, especially since we have to watch it from behind two chairs. Jean had a troubled childhood, and she caused a horrible car crash that certainly looks like it killed both of her parents. A lot of time is devoted to Jean as a young girl. We also get shots of Jennifer Lawrence returning as Mystique and we can kind of see James McAvoy as Professor X, in all his bald glory. Unless you speak Russian, though, you’ll be hard pressed to tell what is going on. Just from the sliver of the screen we can see, this is definitely Jean Grey’s movie. We catch a glimpse of Jessica Chastain’s villain. Cyclops eventually shows up, along with Storm. Halfway through the footage, the camera pulls itself up and we get a better view of Mystique and Charles Xavier having a heart to heart conversation. Eventually Beast shows up, along with Quicksilver. There’s some exciting VFX that show the world coming apart, and Magneto is seen pulling on his old helmet. This cuts to Storm in the rain at a funeral, presumably Jean Grey’s. Beast is seen standing by a grave, soaked to the bone. A few new mutants are revealed. Then we get a bunch of quick character clips leading up to the big Dark Phoenix reveal. Her eyes glow with fire, and we’re taken out with the slow fade of Jim Morrison’s misty, croaking voice. It looks exactly like what you were expected. Hopefully it plays a little better when Fox releases the real thing. If you want to dare watch it yourself, you can see it HERE on Reddit. But be warned. It’s not for anyone who doesn’t like watching their media as though it were recorded off an old half-submerged inner tube. The quality really is that bad.